The Hurricanes took a good run at making the playoffs last year, and will be looking to build on that progress with a younger roster in 2016-2017. 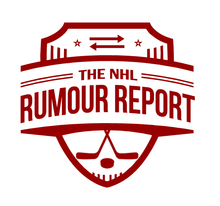 As always, Jeff Skinner finds his name in the rumour mill, but nothing seems to be on the frontburner there. The odd Justin Faulk rumour has popped up, but not a lot of sense can be made of those reports. If the 'Canes fall out of the race, look for them to ship off pending UFAs Ron Hainsey, Viktor Stalberg or perhaps even Bryan Bickell. The Rangers are a team looking to stay competitive while getting younger, so it makes sense they're one of the teams rumoured to have interest in Jets defenseman Jacob Trouba. Also in constant trade rumours is Rick Nash, whose salary the Rangers might like to offload. Derek Stepan, Chris Kreider and Marc Staal have each taken their turn in the rumour mill, but that speculation seem to have cooled off for now. If things don't go well for the Blue Jackets this season, expect them to be one of the most active teams on the trade market. Players such as Cam Atkinson and Nick Foligno have found their names in trade rumours as the Jackets look to improve their salary cap situation. Even the odd Sergei Bobrovsky rumour popped up around the draft this summer. On the other hand, if the team finds itself in a playoff position come February, look for them to explore the market for upgrades at center. A bit of trade buzz surrounds the Islanders crease this season. With three NHL calibre goalies in Jaro Halak, Thomas Greiss and JF Berube, some wonder if one of the three might get dealt. The Travis Hamonic trade rumours seem to have been put to bed, but there's always a chance they crop up again. If the Isles depth issues at forward result in a slow start, expect them to be proactive on the trade front. The Devils went out and acquired a cornerstone forward in Taylor Hall, but didn't do much to replace defenseman Adam Larsson's minutes. If the blueline falters, they may look to add a piece via trade or free agency. Some rumours indicated that Damon Severson's name was out there, but following the Larsson deal he likely stays put. Travis Zajac has surfaced in rumours as well, and with the organizations newfound strength at center, he could become expendable. If the Devils are sellers at the deadline, Kyle Quincey and Vernon Fiddler might be UFAs worth dangling. The Capitals don't have much work to do on the trade or signing front this season, plain and simple. Their only weakness seems to be in their 3rd pairing on defense, something easily remedied by a trade deadline transaction. Other than that, the Caps seem to be an organization that keeps itself out of trade rumours. The Flyers will look to build on their playoff appearance last season, but rumours will always surround this team. Up front, Matt Read is a player constantly seeing his name in the rumour mill, while blueliners Mark Streit, Andrew MacDonald and Michael Del Zotto have been in trade buzz. Perhaps the most intriguing trade deadline situation is in net, as the Flyers have two pending UFA netminders in Steve Mason and Michal Neuvirth. Regardless of where the Flyers are in the standings, one of them could end up being moved, especially if Philly wants to take a look at upgrading to a goalie (like Ben Bishop). 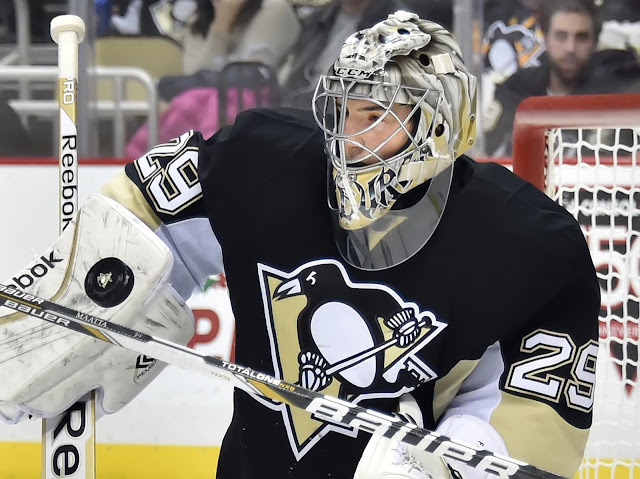 The Penguins enter the season with two NHL starting goalies in Matt Murray and Marc-Andre Fleury, and with the expansion draft looming, they'll have to consider moving one of them. It's safe to assume that the older Fleury is the man to go, but would the Penguins move him in-season? In their bid to repeat their Stanley Cup victory, it seems more likely they hold onto him for the time being. There are always a few Chris Kunitz trade rumours simmering in the background, but he likely stays put with this Cup defending group. Stay tuned for our Atlantic Division preview in the next few days.